RestorationMaster is an established and trusted business in the St. Charles, Clayton, and Westport, MO. Our business has been dedicated to the success of the business as well as the restoration of peace of mind for each customer for a number of years. Did water come through your basement? 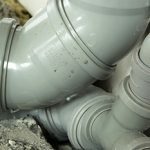 Did a pipe burst in your kitchen overnight? While these occurrences can wreak havoc on any property owner, it is crucial that they are treated right away. As soon as the source has been removed, RestorationMaster is available 24/7 and will arrive on your property within 2 hours of the initial call to provide emergency water damage restoration in St. Charles, MO and the surrounding communities. All of the affected surfaces will also be returned to their original conditions with the use of professional drying equipment and products. We will also work with your insurance provider during the claims process to allow an easier process for you. Regardless of where it came from, finding a sewage backup on your property is never pleasant. But it is never something you want to deal with yourself due to the amount of bacteria, pathogens, and biohazards within the water. 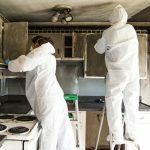 In this situation, it’s best to allow a professional cleanup service to handle the job safely. RestorationMaster is available 24/7 in the St. Charles, MO area to provide professional sewage cleanup services. 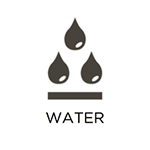 Our technicians will first extract the water, removing all the biohazards, removing soiled debris, set up drying equipment, decontaminate the area, and install the replacements. We can also help with open insurance claims if you chose to file one. Finally, you can look forward to a completely restored property after an effective cleanup service. 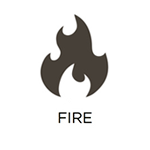 Every second counts in the incidence of a fire. Not only are the flames quick to consume building materials and personal contents, but the smoke emitted will penetrate through walls and floors, enveloping the structure in a thick, black residue. Once these byproducts have settled, they will compromise their affected surface if they are not removed immediately. Don’t hesitate to call RestorationMaster for emergency fire and smoke damage restoration services in the St. Charles, MO area. Our technicians understand that this is an extremely traumatic time, which is why we will work quickly and effectively to return the property to its original condition. 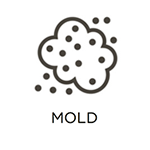 Have you recently uncovered mold or mildew in your home or office? If left untreated it can cause a number of problems for your family or employees. But improper cleaning techniques may only irritate it to spread further. However, RestorationMaster is a leading provider of mold remediation in the St. Charles, MO area. Our trained staff uses professional products that are designed to penetrate the surface and eliminate the fungus at its source. Once all affected areas have been treated, we will secure the area to prevent it from returning in the future. Call today and get a free estimate. Unfortunately, there are more disadvantages of a dirty carpet than just embedded dirt and debris. Due to constant foot traffic, dust is constantly kicked into the air, triggering allergies and other health problems. A dirty carpet can also make the room appear to be aged and disorderly. However, RestorationMaster can restore that brand new look and feel to the room with professional carpet cleaning services in the St. Charles, MO area. Available for both residential and commercial cleaning, the use of our professional equipment, products, and method can even extend the lifespan of the carpet. Call today to get a free estimate. There is nothing like breathing fresh air in your home; however, this can only be possible with a clean air duct system. While the filter can only catch so much dust and debris, the rest will become trapped within the ducts. This can then become passed back out the air vents to pollute your breathing air. Anyone living with allergies or respiratory problems will be at risk if this problem is not fixed. In addition, the heating and A/C units will have to work harder in order to achieve optimal temperatures within the property. You may even notice a difference on your heating and cooling bills. If you notice any of these signs, be sure to call RestorationMaster to provide effective air duct cleaning services in the St. Charles, Clayton, and Westport, MO area. Our technicians have years of experience in effectively removing all dirt and dust caught within your duct system. With our services, you can expect to have the indoor air quality significantly improved after an effective air duct cleaning. When your property has been severely damaged after a natural disaster, discovering it in this condition can be not only overwhelming, but life-changing. However, it is extremely important to act now in order to prevent as much damage from spreading as possible. Call RestorationMaster in the St. Charles, MO area for 24/7 reconstruction services. Our team of construction staff will arrive right away to stabilize the property’s condition and begin the repairs. We will also keep you updated and answer any questions you may have throughout the entire process. But with years of experience and ongoing training, our construction team is able to handle both small and large commercial and residential properties. Give us a call right away if you have an emergency situation with severe damages to your property. 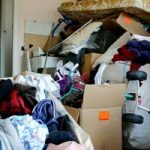 When affected with a hoarding disorder parting with personal belongings can be overwhelming, causing the individual to keep them while they accumulate over time. Eventually, fire, slip-and-trip, and other hazards will jeopardize their safety from this huge mess. But after reaching out and getting their approval, call RestorationMaster for professional hoarding cleaning services in the St. Charles, MO area. 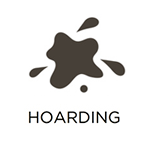 Our technicians are licensed, experienced, and trained to work with individuals affected by hoarding while restoring safe and healthy living conditions within the home. Don’t hesitate to give us a call as soon as you have your approval. 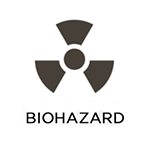 Discovering a scene filled with biohazards can certainly be overwhelming, but many individuals are not aware of the dangers these biohazards pose towards personal health. Bacteria and pathogens are crawling all over the affected surface, contaminating it until treatment can occur. But RestorationMaster is available 24/7 to provide emergency biohazard and trauma scene cleanup services in the St. Charles, MO area. Our technicians wear protective equipment when applying commercial cleaning agents to remove all harmful bacteria and restore the affected area. We will also work with law enforcement and your insurance company to provide additional peace of mind. While some odors can be removed using home remedies, others pose a much bigger problem. When you feel like you have exhausted all options and the smell just won’t go away, don’t hesitate to bring in the professionals. RestorationMaster provide professional odor removal and deodorization services in the St. Charles, MO area. Using powerful technology to eliminate each particle from within, our technicians can remove powerful odors from any source. Whether the smell was derived from water damage, a skunked dog, or even biohazards, we will ensure that the foul smell will be eliminated once and for all. The source will also be removed as a part of this service. Give us a call and we’ll provide a free estimate! For any of the restoration or cleaning services listed above, call RestorationMaster at (636) 492-3030. Free estimates available. We are also available in St. Louis, O’Fallon, MO as well as Collinsville, IL area!